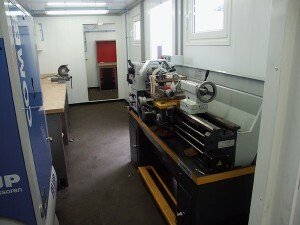 Devotra has designed a unique concept of high quality mobile workshops based on 20-ft ISO containers. 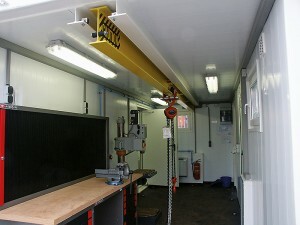 Our mobile workshops can be supplied as a single unit or can be connected as a set of four to create bigger workspaces. 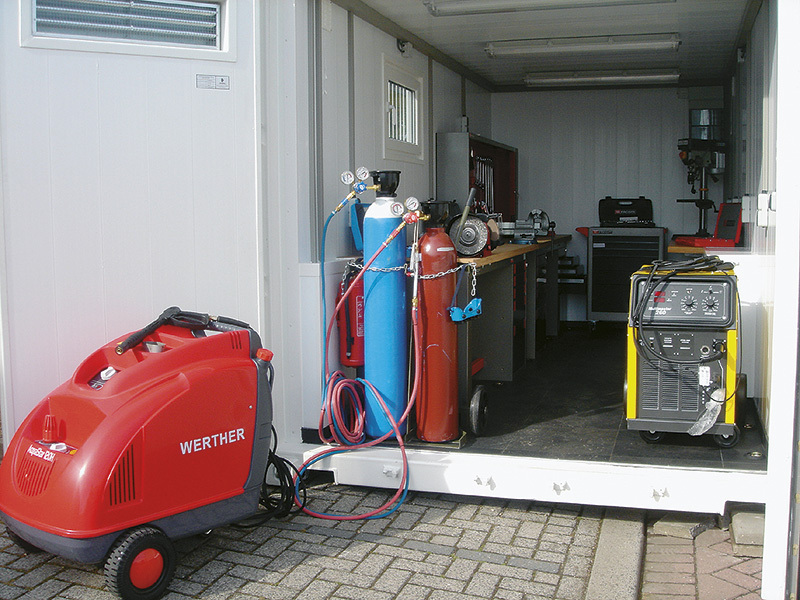 The mobile workshops are fully self-supporting and include: power generator, air conditioning, heating and illumination. 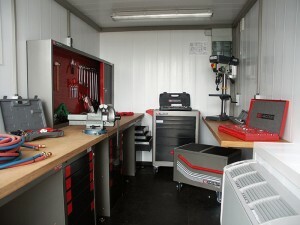 The mobile workshops can be used as field maintenance and repair facilities. 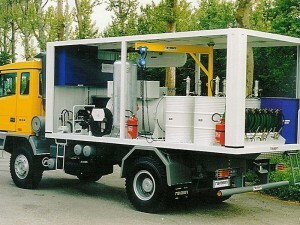 In addition, they can also be used for educational and training purposes. By using softwall structures or prefabricated lightweight steel structures, the working space can be enlarged considerably. 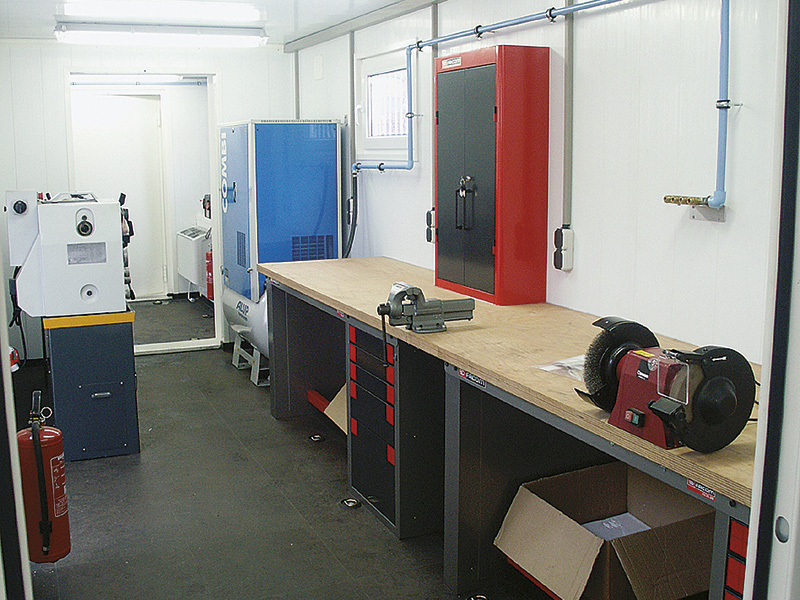 By adding modular units for office, canteen and sanitary facilities a professional training/ or and repair facility can be created. 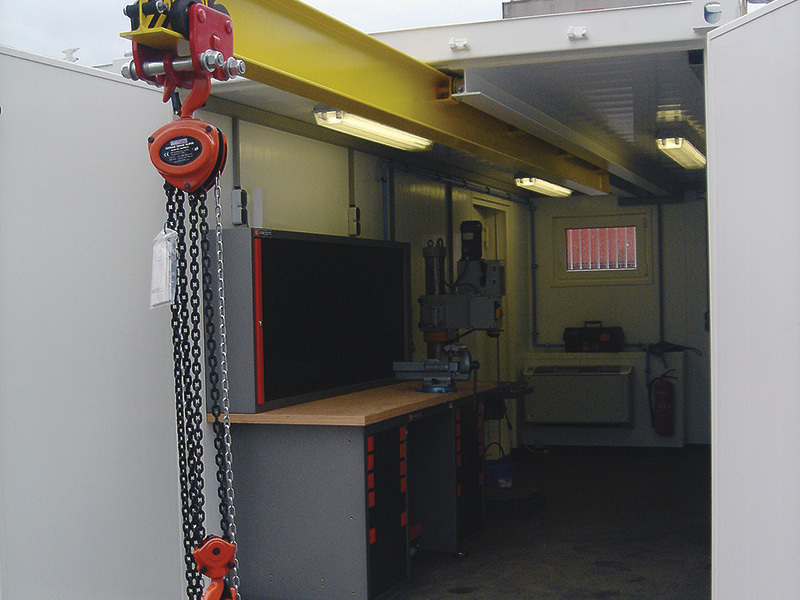 Different flexible and cost effective solutions for mobile training can be created by combining our mobile workshops with our modular units or softwall structures. 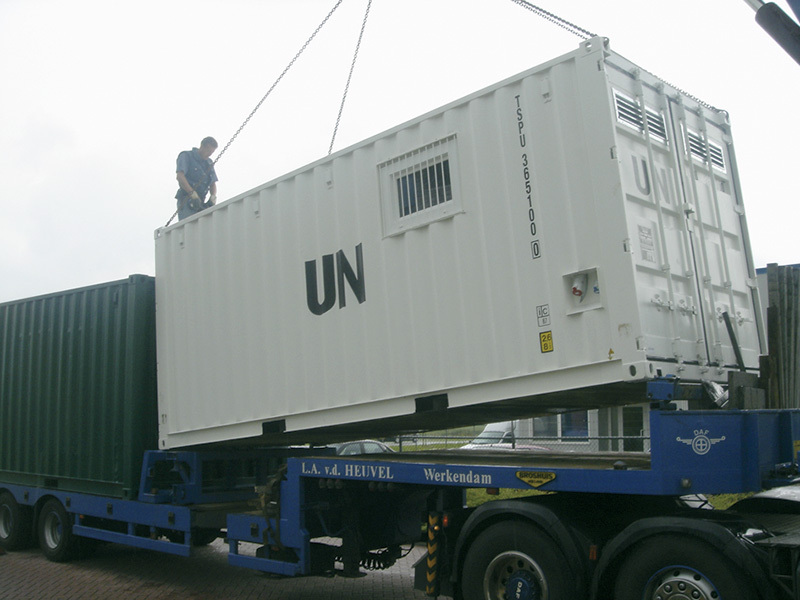 Thus creating facilities for classrooms, offices, dormitories, canteen, kitchens, workshops, sanitary units and outside covered workspaces. 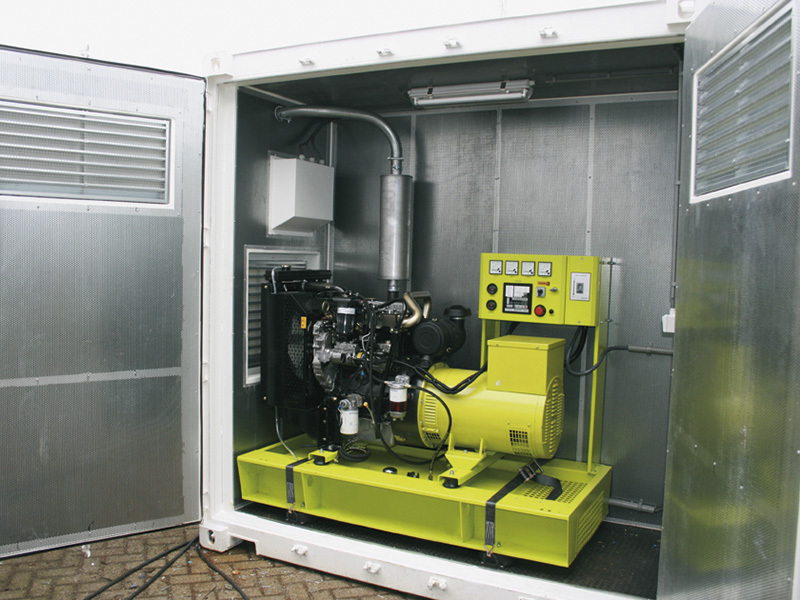 Here practical technical training for automotive, mechanical, building and construction, refrigeration, health care, and alike, can be provided. 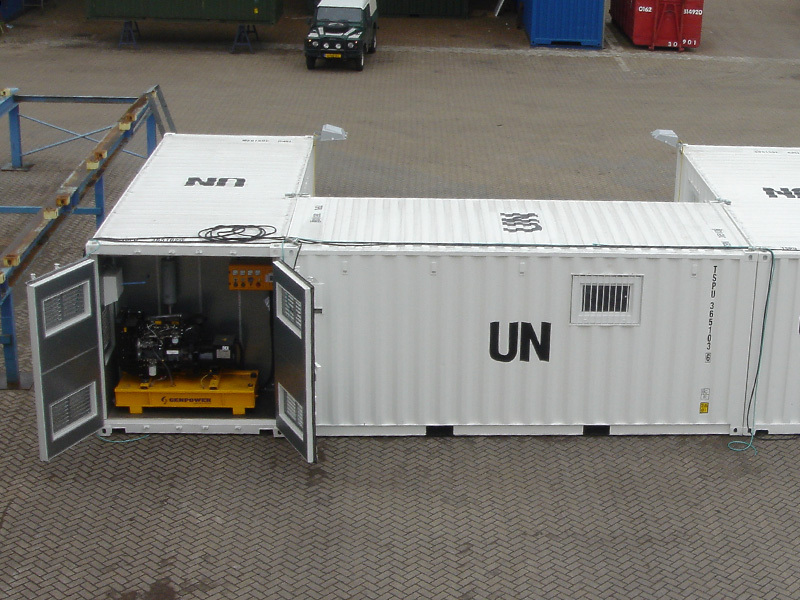 Our concept offers a relatively low cost and easy (re)deployable solution, specifically for providing education and training in remote areas with limited infrastructure available.